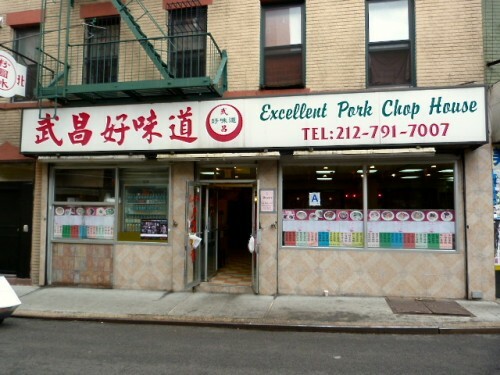 Do You Care About Chinatown Restaurants’ DOH Grades? This place got an A but its neighbors may not have. An article recently came out saying that only 51% of the restaurants in Chinatown have earned an A grades from the Department of Health. This doesn’t sound so bad until you compare it with the statistic that 80% of restaurants in the rest of NYC have gotten an A. I’ve noticed that ethnic eateries in neighborhoods with large immigrant populations often have a B, C or Grade Pending displayed in the window, but it doesn’t really bother me. However, changes are being made to try to reverse the trend. The Chinatown Business Improvement District did a workshop to educate restaurant owners in the neighborhood on how to earn that A grade. The restaurants have to pay a lot of money on a yearly basis if they’re getting a lower letter grade which eats into profits and affects the workers who aren’t making much money anyway. I would imagine there are also a lot of people who won’t eat at an establishment displaying a B or C grade in the window (I am not one of those people). It’s worth pointing out that some high-profile restaurants have been shut down recently for failing DOH inspections, and they aren’t even dealing with a lack of English speaking skills. My question to you all: Will you still eat at a restaurant in Chinatown if they have a grade less than an A? Posted by Andrea H at 10:02 am, November 12th, 2013 under Chinatown. Also, that means the less tourists and transplants crowding it up.